»I always end up with the wrong partner …«, »The woman of my dreams simply doesn’t exist …«, »I’m better off on my own …« – There’s probably no part of life that compels us to give away more of our potential than when we fall in love. MINDFUCK is part of the game when we are blocking ourselves and others with discouraging thoughts. 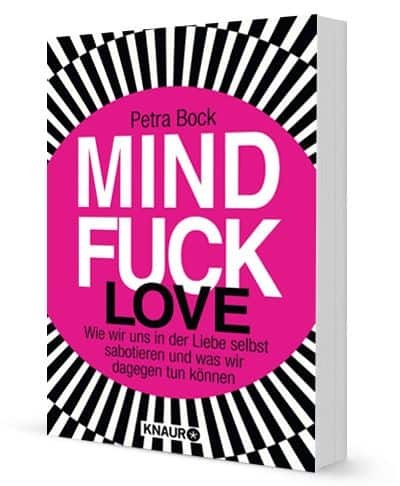 Petra Bock applies the thorough MINDFUCK® method she developed to love and partnership and demonstrates how we can free ourselves from the spiral of negativity to live our full potential when we’re in love. After all, we set our own limits when it comes to love.